"Thanks for helping make our 20th anniversary so special. 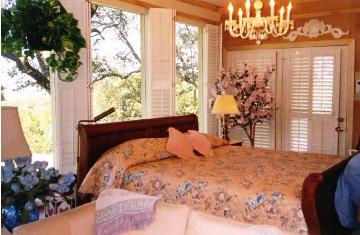 The Hilltop Inn is a perfect mix of 'down-home' hospitality and the utmost luxury. 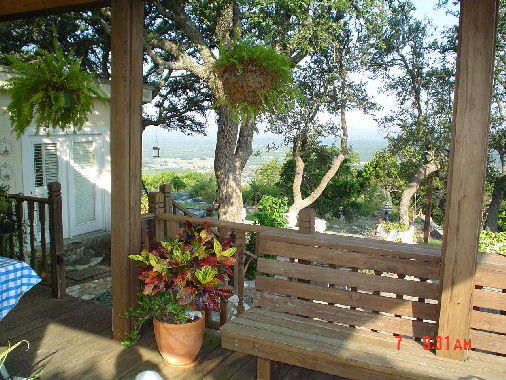 The view is incredible, the food is delicious, and you two couldn't be more accommodating! Thanks again for your part in this special weekend! Hope to visit again real soon!" 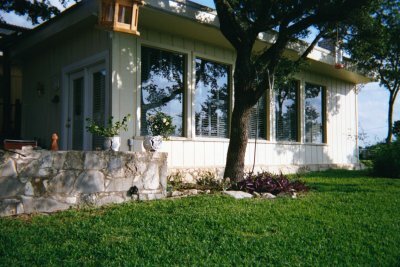 An elegant Bed and Breakfast experience in the Texas Hill Country. Quiet, private getaway with the amenities of home. 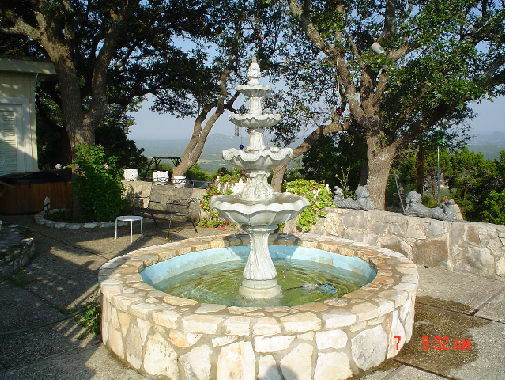 The Hilltop Inn amenities include: breakfast served on the oak shaded, valley-view patio or privately in your suite; patio hot tub; 33 acres of lush grounds for hiking with a selection of sitting areas for taking coffee or enjoying a quiet moment; and located 12 miles from Bandera restaurants and nightlife. The pleasure of our guests is of utmost importance, therefore we restrict smoking and pets. Small children may not feel comfortable or happy in these adult surroundings, responsible older children are welcome. Wedding reception site and cedar cathedral also available. the fabulous sunsets. And the food!!!!" 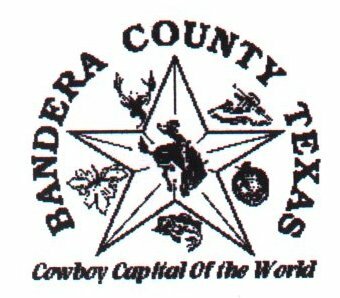 We'd love for you to visit. Suite amenities include: King-sized bed; piano; modern entertainment system; fireplace; modest wet-bar (refrigerator, coffee pot, microwave); local control of AC and heat; full-length picture windows of valley view covering one wall; tiled bath with an old-fashioned, luxurious claw-foot tub; games and living area with a queen sized sofa sleeper.